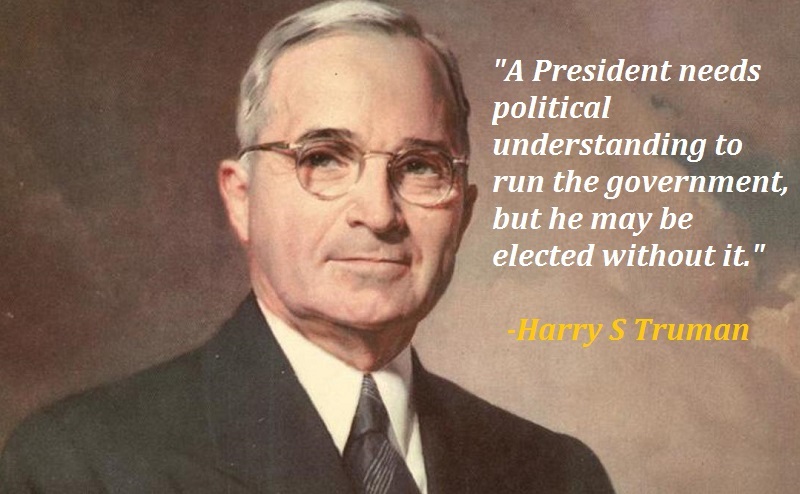 Harry S Truman:- Harry S Truman (May 8, 1884 – December 26, 1972) was the 33rd president of the United States (1945–1953), succeeding upon the death of Franklin D. Roosevelt after serving as vice president. He implemented the Marshall Plan to rebuild the economy of Western Europe and established the Truman Doctrine and NATO. 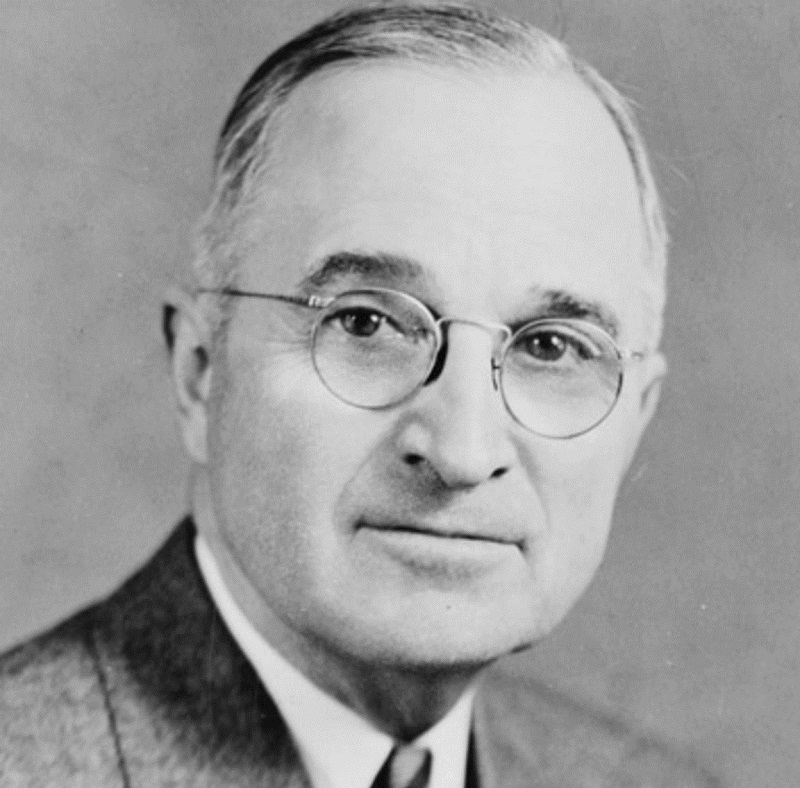 Truman was elected as a U.S. senator in 1934 and gained national prominence as chairman of the Truman Committee aimed at waste and inefficiency in wartime contracts. Soon after succeeding to the presidency he became the only world leader to have used nuclear weapons in war. 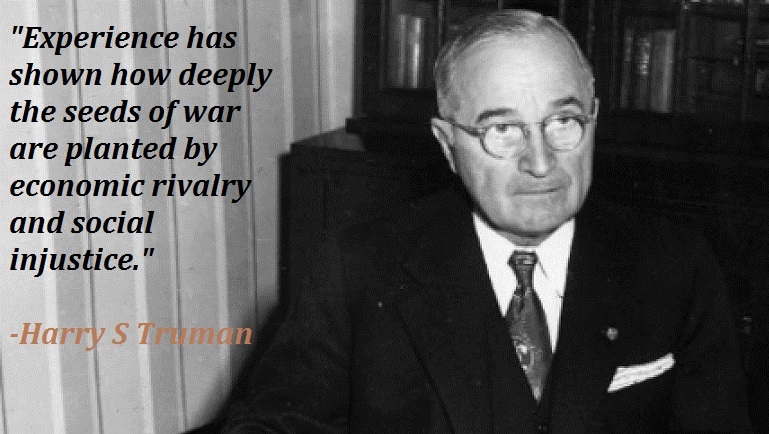 Truman’s administration engaged in an internationalist foreign policy and renounced isolationism. He rallied his New Deal coalition during the 1948 presidential election and won a surprise victory that secured his own presidential term.